Having been a big fan of Moroccan Oil, I’m already a firm believer in the miracle qualities of Argan oil. 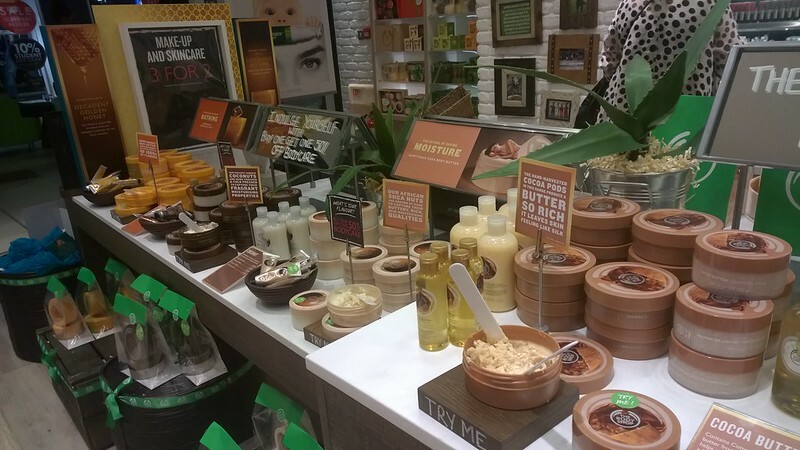 So when the lovely people at The Body Shop invited me along for a Moroccan pamper evening and to try out their new range, I was more than a little excited. 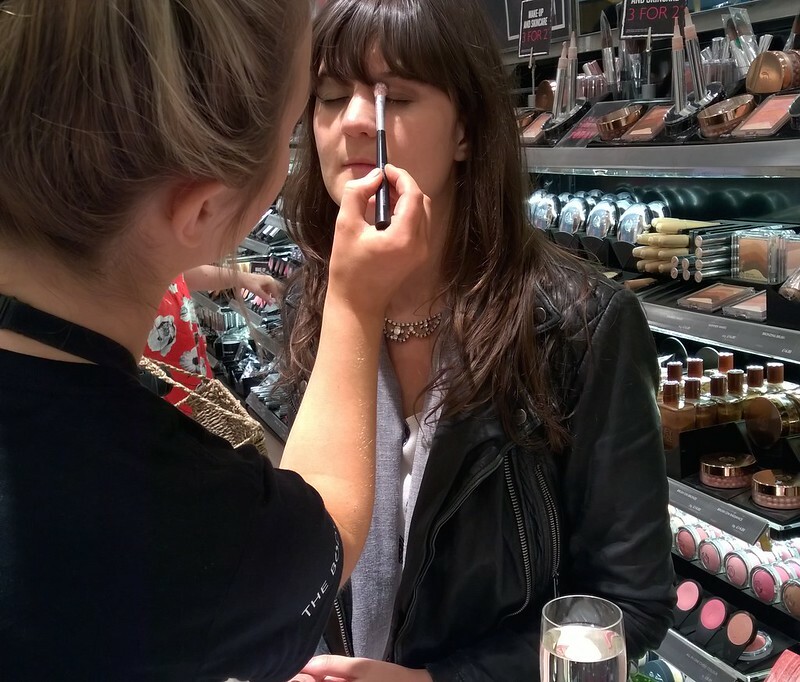 Since I’m not predominantly a beauty blogger (and I tend to stick to what I know), I’ve not read too much about the range so was happy to learn more from their staff. 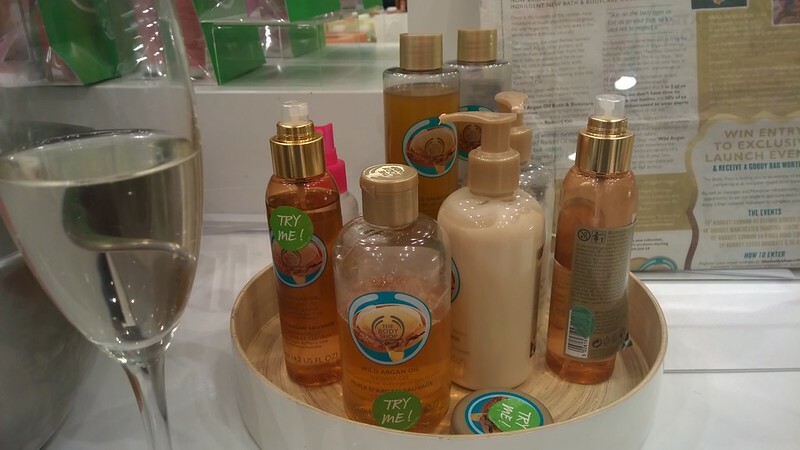 At the event we got grips with the new line including a sugar scrub, shower gel, body butter, balm and of course, oil. 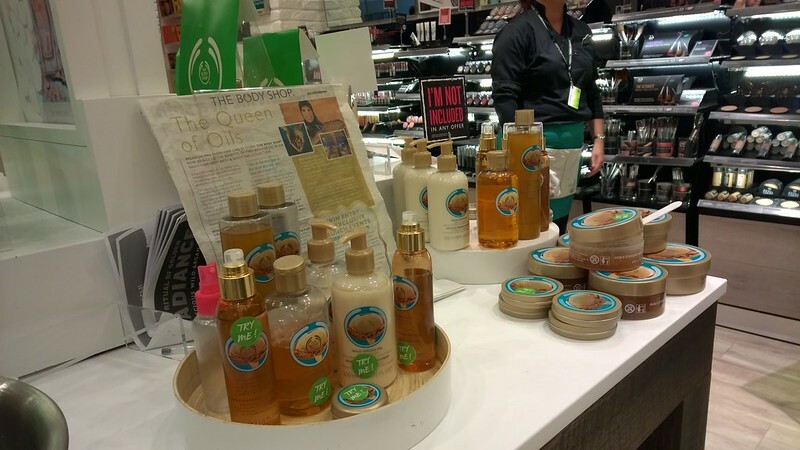 I’ve been a fan of The Body Shop for years now.. particularly their creamy body butters. 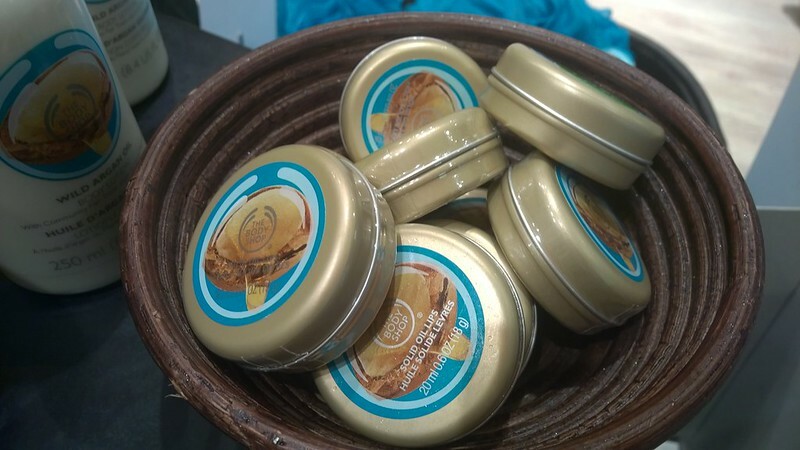 Since getting back from holiday, I’ve felt like my skin’s been tight and dryer than normal so I’ve been relying on my trusty Olive Body butter. 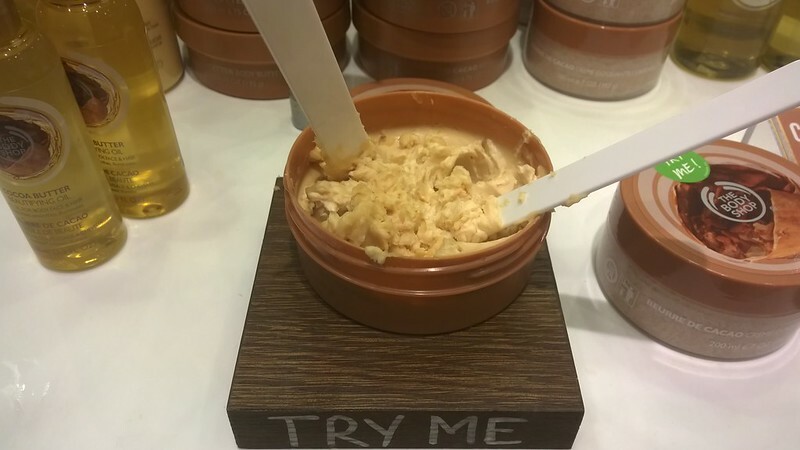 But I was excited to see how the body butter from the Argan range was. Smelling slightly more perfumed than my Moroccan Oil, The Body Shop’s Wild Argan range is deliciously indulgent. 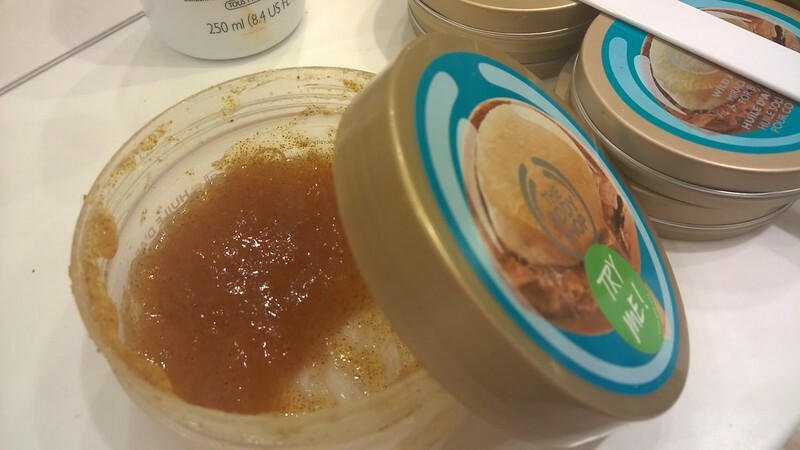 And after being treated to a mini makeover showcasing their new products, I was given an exfoliating hand massage using the Wild Argan range. So I can confirm it feels just as good on your skin, as it smells! My skin was left glowing and ridiculously soft. I’m not usually a big exfoliator since I suffer from dry skin and I find it a little abrasive. However the sugar scrub has nice thin particles so doesn’t feel like it’s tearing your skin apart. Primped, pampered and full of prosecco, with a pretty generous goodie bag containing the scrub, shower gel, balm and body butter, (which I’ll be reviewing properly in a separate post), and dying for a full on pamper session. 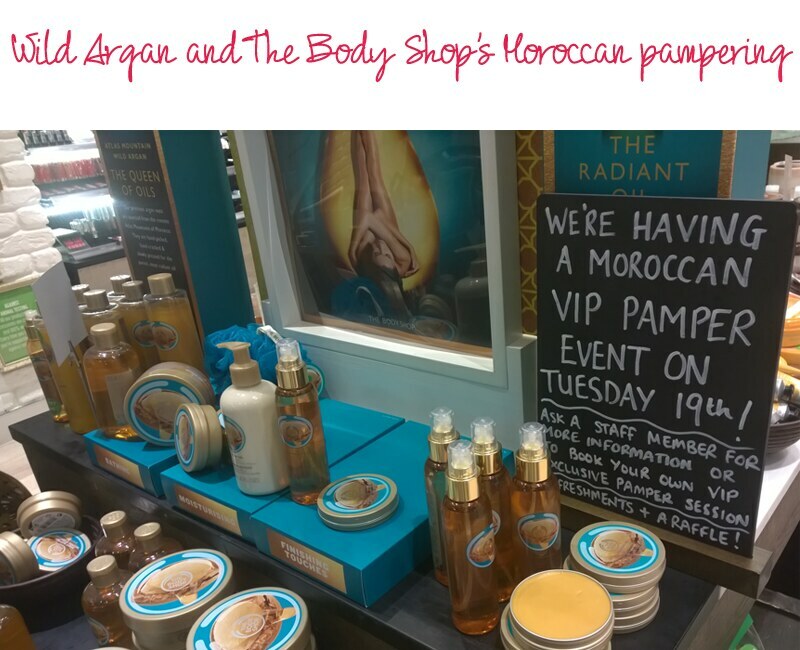 If you’re in Newcastle and interested in the range, they’re actually holding a VIP pamper night tomorrow (Tuesday 19th between 1pm-7pm) so you can get yourself and find out more. The spaces are filling up quick but you can call 0191 2221893 to book a slot! And if you quote Raspberry Kitsch, you’ll get a special goodie bag.. so you’ve got the perfect excuse to pop by! Since I headed straight from work, I decided to take along the Nokia Lumia 930 I’ve been trying out and get some snaps on there. It’s camera is amazing, but I definitely feel like I’m still getting to grips with it!! I’ll be sure to post a full review soon though.